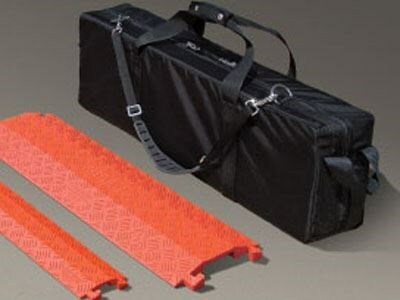 FastLane Drop Over Protectors are made from durable polyurethane and feature heavy duty L” shape connectors for easily attaching additional protectors as required. Patented 5-bar tread plate surface provides maximum traction for pedestrian traffic. These low profile protectors are compact for easy setup, take down and storage.